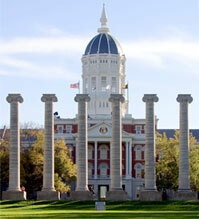 MU will award 2,136 diplomas during December commencement ceremonies. COLUMBIA, Mo. ­­­– Born and raised in India, Sengamedu Srinivasa Badrinath has spent the past 30 years bringing eye care to India through his charitable eye care organization, the Medical Research Foundation. Badrinath will be awarded an honorary degree from the University of Missouri, one of the highest honors the university bestows, at the Honors Ceremony on Saturday, Dec. 18 as part of the December commencement ceremonies at MU. Three years after listening to Hindu spiritual guru Sri Jayendra Saraswathi discuss the need for an eye hospital in 1975, Badrinath founded the Medical Research Foundation that includes Sankara Nethralaya, a nonprofit charitable eye hospital that serves nearly 1,200 patients and performs 100 surgeries every day. At the hospital, Badrinath and his colleagues provide care at affordable costs, with around 40 percent of its surgeries done free of cost to the patients. Recognized worldwide for its ground-breaking research, the foundation also trains ophthalmologists and paramedical personnel to combat blindness and research vision problems specific to India. MU will award 2,136 degrees to 1,994 students over the course of the December commencement weekend; 1,487 bachelor’s degrees, 454 masters’ degrees, 17 educational specialist degrees, 10 professional degrees and 168 doctorate degrees will be awarded. “As our graduates join the ranks of our distinguished alumni, we are confident in their ability to make a difference in every corner of the world,” said Ann Korschgen, vice provost for enrollment management at MU. John Hagler, Missouri director of agriculture, will speak at the College of Agriculture, Food and Natural Resources ceremony at 3 p.m., Saturday, Dec. 18 in the Hearnes Center. Josephine L. Emerick, senior transportation project manager for URS Corporation in St. Louis, will speak at the College of Engineering ceremony at 2 p.m., Saturday, Dec. 18 in Jesse Auditorium in Jesse Hall. Samuel Hamacher, president of Harbour Group in St. Louis, will speak at the College of Business ceremony at 4:30 p.m., Friday, Dec. 17 in the Hearnes Center. Michael Barnes, associate teaching professor of classical studies and 2010 Kemper Award winner, will speak at the College of Arts and Science ceremony at 12:30 p.m., Saturday, Dec. 18 in the Hearnes Center. NOTE: The Schools of Law, Medicine and Health Professions and the Colleges of Veterinary Medicine and Education do not hold December graduation ceremonies. Students from those academic units participate in May ceremonies. Students in the School of Social Work will participate in the College of Human Environmental Sciences ceremony. The School of Natural Resources will hold a separate commencement ceremony from the College of Agriculture, Food and Natural Resources. ROTC will not hold a formal officers commissioning ceremony this December. Sengamedu Srinivasa Badrinath has dedicated his life to bringing world-class eye care to India. Badrinath was raised in southeastern India by middle class parents rooted in traditional Indian culture. He and his six siblings lost both parents while he was a teenager; he completed his medical studies from the money awarded from his father’s life insurance policy. He studied at Madras Medical College where he secured the highest marks in the university’s ophthalmology examination in his first attempt. He pursued graduate work in the United States at Grasslands Hospital, New York University postgraduate medical school, and Brooklyn Eye and Ear Infirmary before working at the Massachusetts Eye and Ear infirmary in Boston under his mentor, Charles L. Schepens. He passed the examination for the Fellow of the Royal College of Surgeons in Canada in 1969 and the American Board Examination in Ophthalmology in 1970. In 1970, he and his wife, Vasanthi, returned to Chennai, India, where he worked as a consultant at Voluntary Health Services and started his private practice in ophthalmology and vitreoretinal surgery at the H.M. Hospital and Vijaya Hospital. In 1975, he was among a group of doctors listening to Hindu spiritual guru Sri Jayendra Saraswathi, who spoke of the need for an eye hospital. Three years later, he founded the Medical Research Foundation, which includes Sankara Nethralaya, a non-profit charitable eye hospital. There, he and his colleagues pursued the medical research foundation’s objectives, providing quality care at affordable cost; India Times wrote that about half of the hospital’s consultations and 40 percent of its surgeries are done free of cost. During the last 32 years, the hospital staff has grown to more than 1,000 employees. They teach and train ophthalmologists and paramedical personnel to combat blindness in India. Additionally, the foundation pursues research in vision sciences to address the ophthalmic problems specific to India. The hospital has several research departments recognized worldwide for their ground-breaking research published regularly in medical journals. The hospital serves approximately 1,200 patients and performs 100 surgeries every day. Badrinath’s excellent reputation matches the multitude of awards bestowed upon him. He has many scientific publications to his credit, including articles in the Indian Journal of Ophthalmology and RETINA, the journal of retinal and vitreous diseases. He and his wife have two sons.